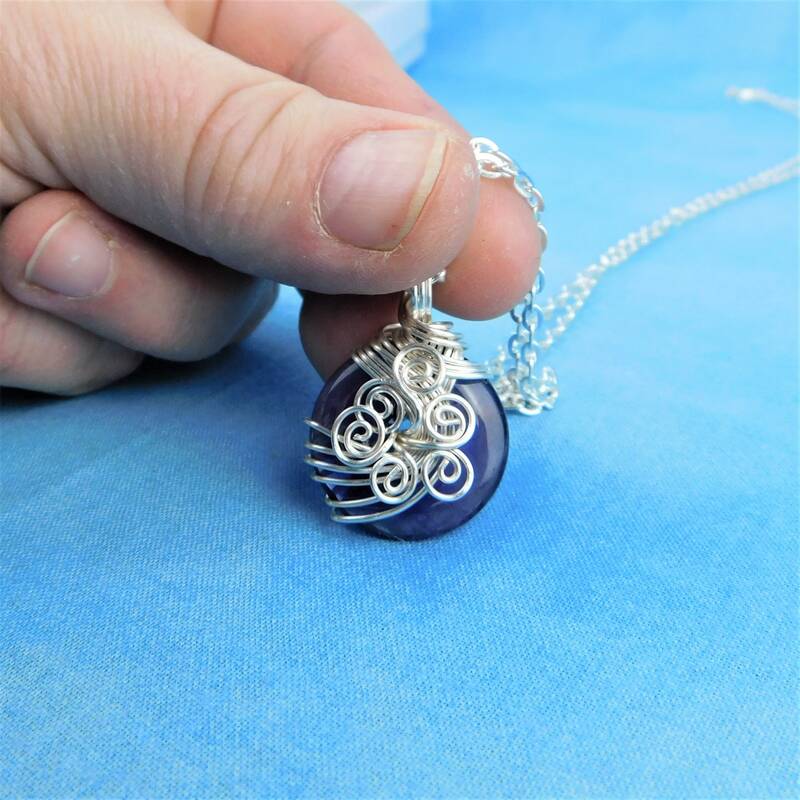 A polished, donut shaped Amethyst is artistically wrapped in hand sculpted non tarnish fine silver over copper wire. 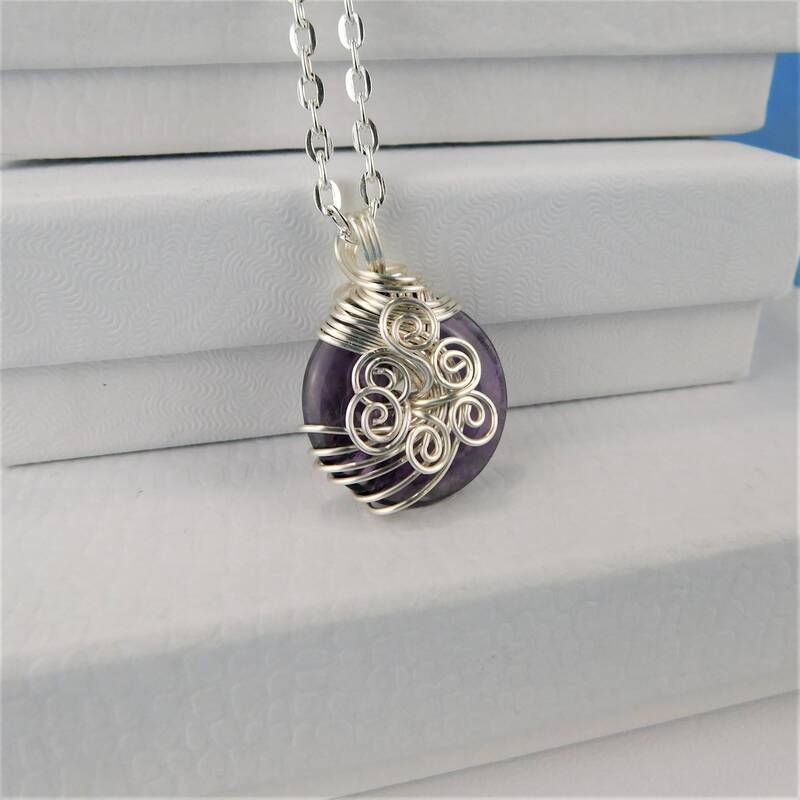 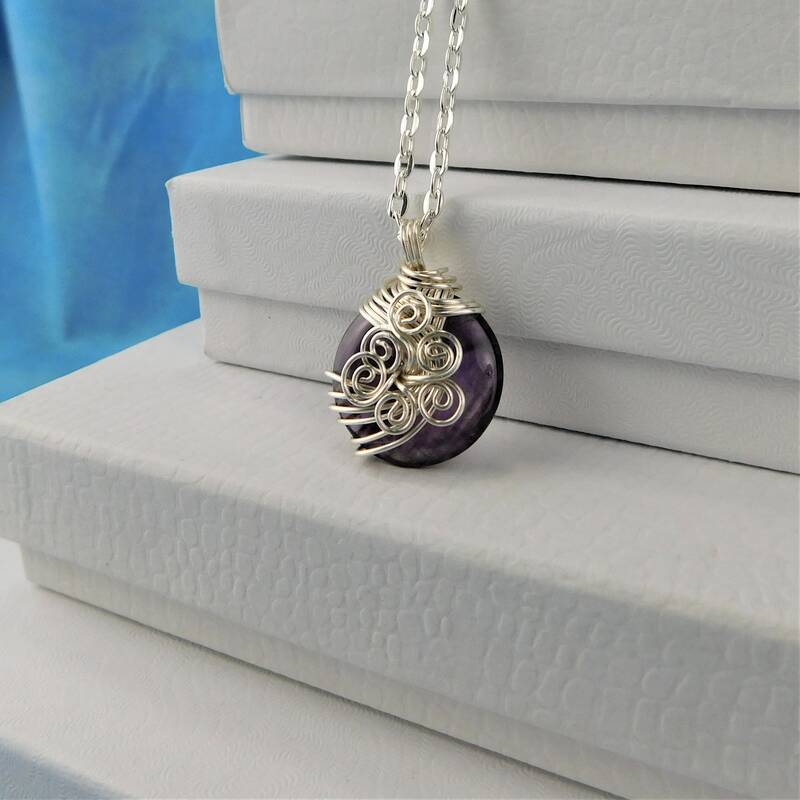 The purple color of the gemstone is enhanced by the bright silver wire, creating a contrast of color and shine. 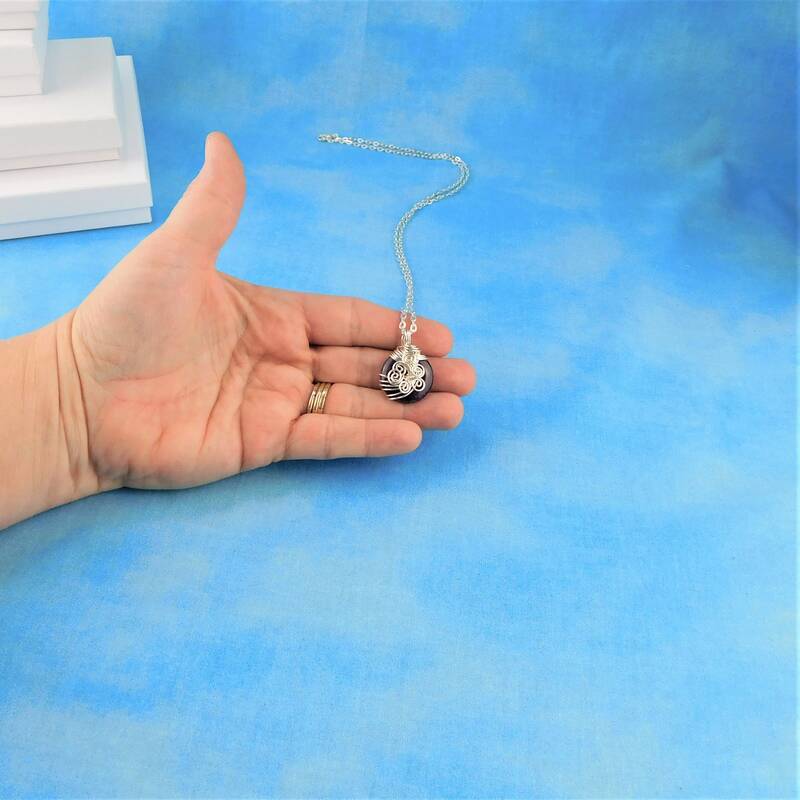 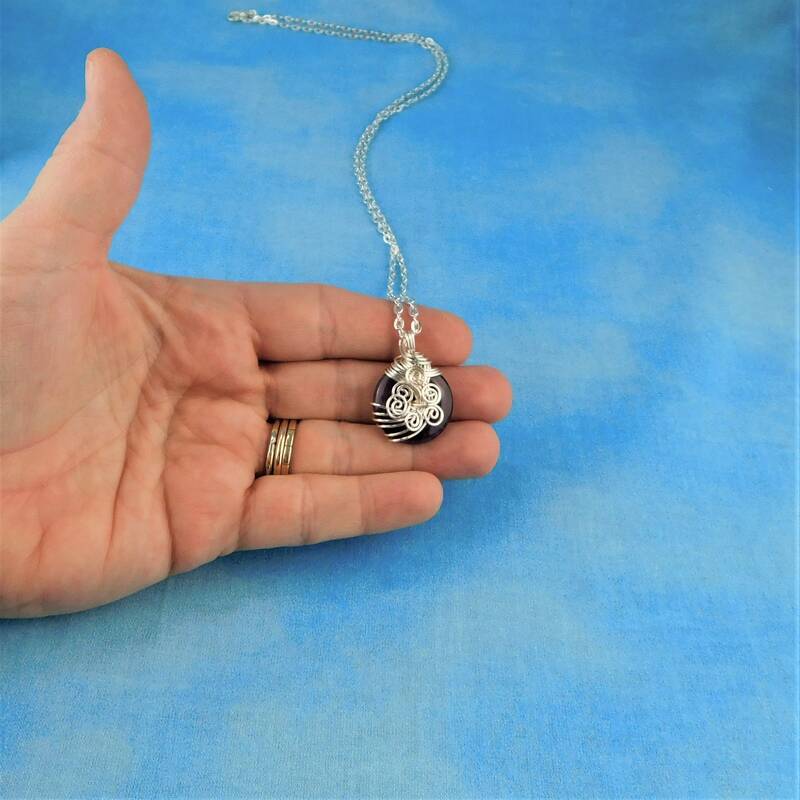 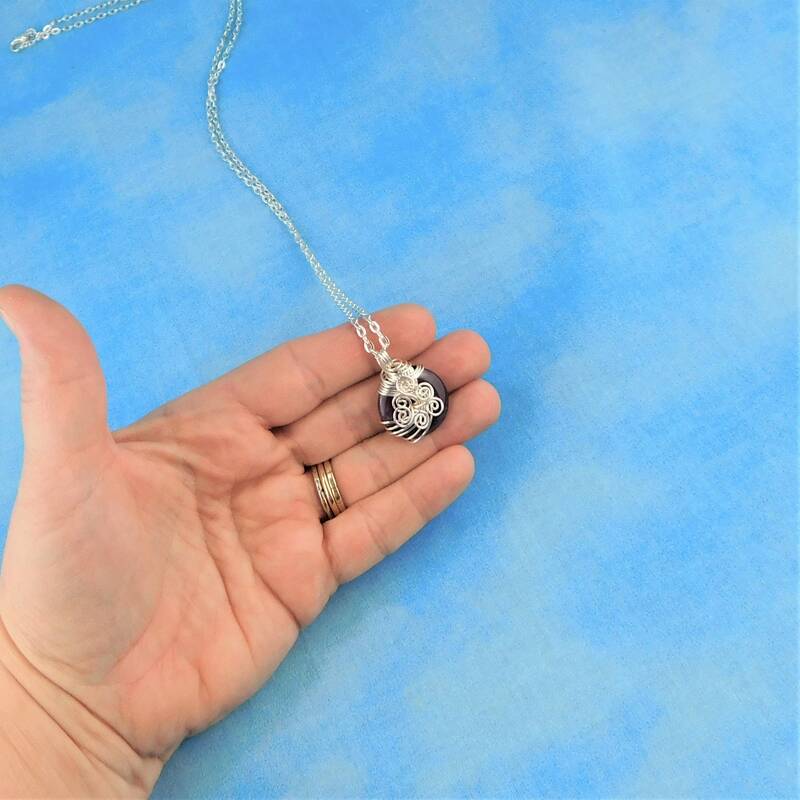 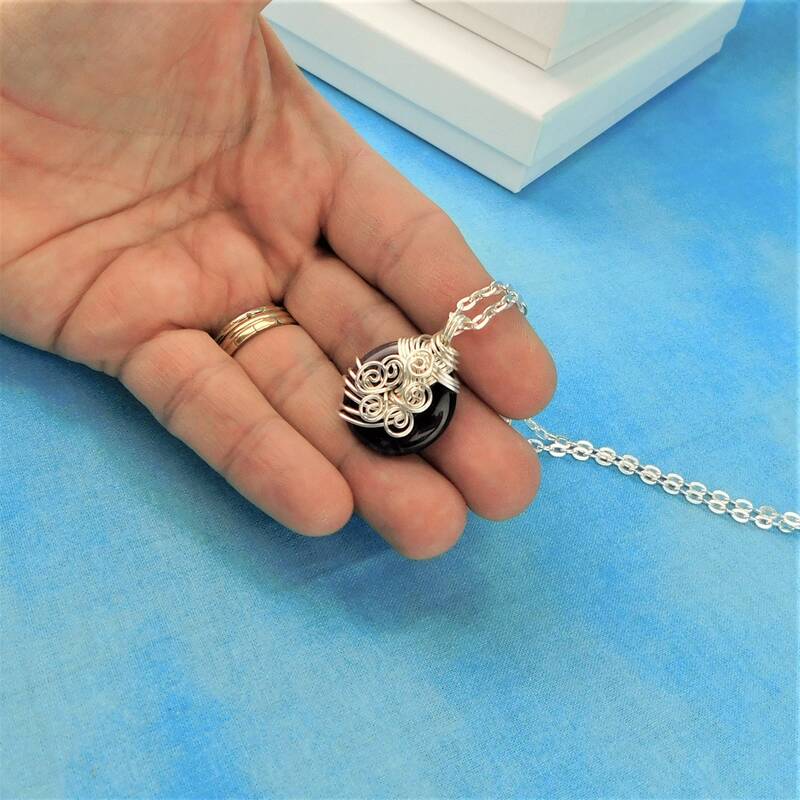 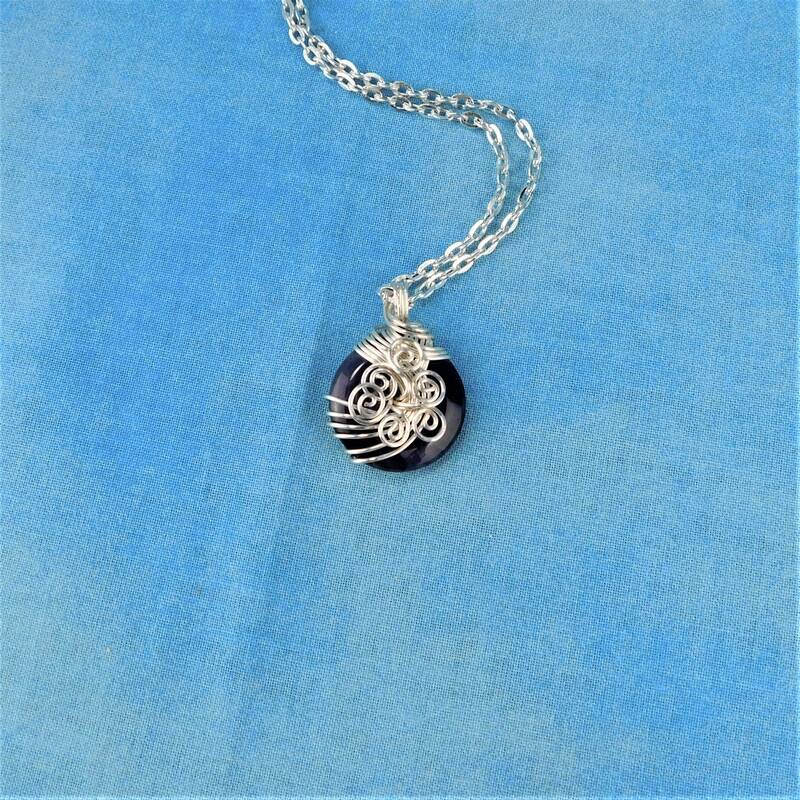 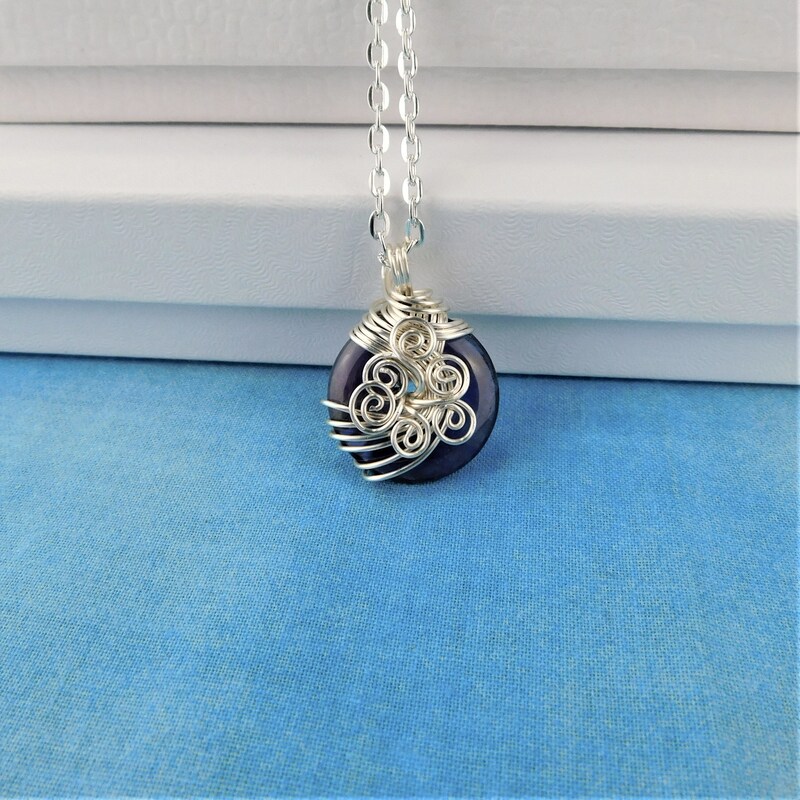 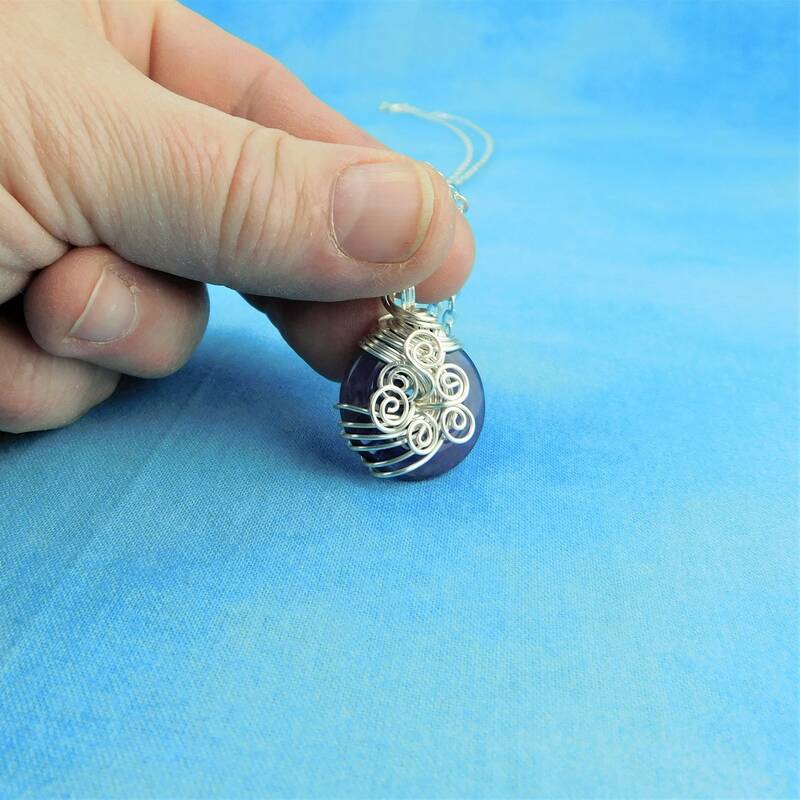 The pendant measures 3/4 inches by 3/4 inch and comes with a FREE coordinating chain with lobster claw clasp, measured to your preferred length.